A Chicago firefighter has sued Elkhart Brass over a device he invented to help fight high-rise fires. 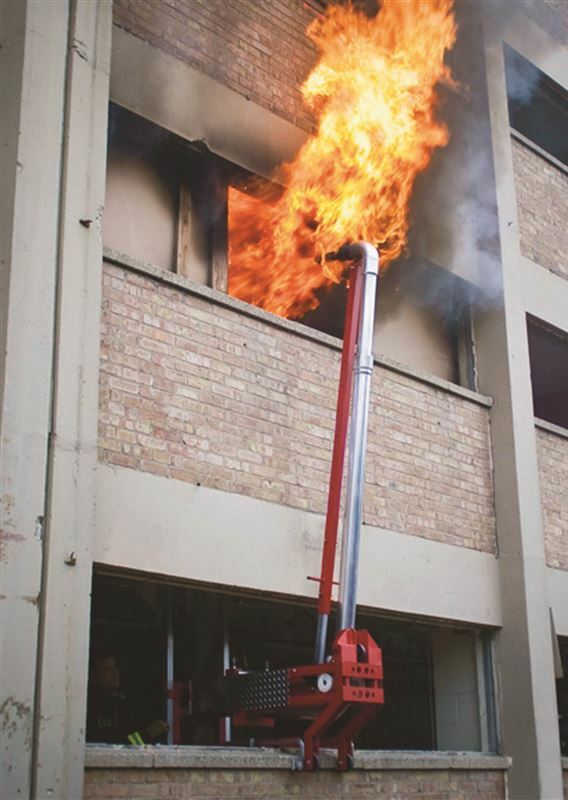 The HERO (High-rise Emergency Response Offensive) Pipe mounts to the window sill or floor below a fire that breaks out above the 12th floor, which is too high to reach with water from a ladder truck, and extends a telescoping arm upward, delivering water to the floor above. After reading this story, I think Elkhart Brass is totally screwing this guy and I hope he wins big! Previous article Not Afraid of Heights? How About a 367ft Aerial? Not Afraid of Heights? How About a 367ft Aerial?